Sanim is new to the Tampa-Bay area, originally from South Florida with a 12 years accomplished career track known throughout the industry for delivering and sustaining revenue and profit gains within highly competitive U.S. Markets. Sanim is an exceptional communicator with a Consultative sales style, strong negotiation skills, exceptional problem solving abilities, and a keen client needs assessment aptitude. Aggressively identify opportunities, develop focus, and provide tactical business solutions. He has Start-up Experience in the IT, Telecom and Aviation Industry. He was part of an aviation company start up, where he was the Chief Financial Officer at MXB Group, held in concurrence with primary role as Business Development, to strengthen the organizations general management and sales operation in the U.S. Europe and Asia. The company ended up being sold 3 years in for over 400 million USD to an international organization owned by Blackstone. Currently he is acting as Director of Finance, Operations and HR for one of the larger IT Marketing Firms in Tampa Bay Area called Marketopia. 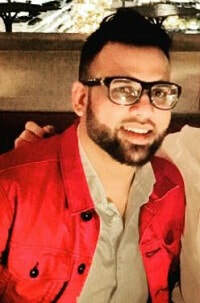 Sanim earned his B.S in Finance & Accounting and M.B.A at the University of Florida. Currently Sanim is pursing a Ph. D. writing his dissertation in Corporate Psychology.